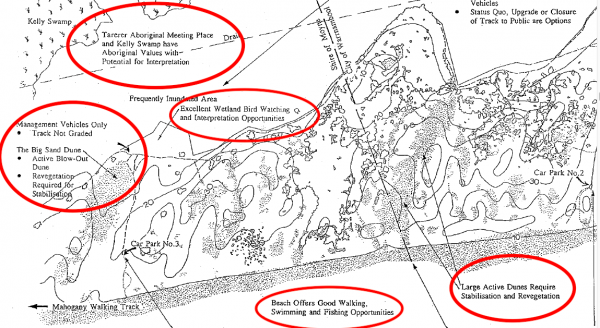 Here is yet another plan for Levy’s Point that was started, never really finished, and then forgotten. 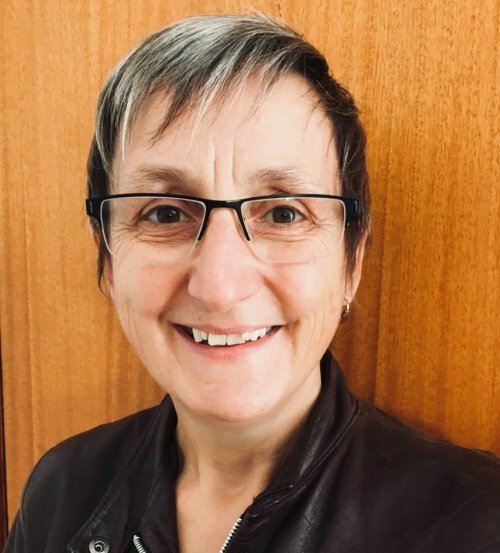 Warrnambool Mayor Tony Herbert recently claimed that the Belfast Coastal Management Plan was the first plan for the area in 150 years. There have been several plans, including this one commissioned by the Warrnambool City Council back in 1998. Nowhere does it mention using the area for large-scale racehorse training. In fact it doesn’t mention racehorses at all, only recreational horse riding and a small horse riding ring. It also mentions the potential for illegal four wheel driving and motorbike riding to worsen, due to numerous management tracks leading into the dunes. Some of these dunes, the plan says, had already blown out, and other “large, active dunes” needed “stabilisation and revegetation”. These “large, active” dunes are in the very area where commercial racehorse training will now be permitted – having been illegal – and up to 40 racehorses a day, five days a week, will be allowed to pound up and down what is called “Hoon Hill”. How this fits into any plan for “stabilisation and revegetation” is beyond me. Just the fact that – 20 years on – authorities now refer to this area as “Hoon Hill” says it all really. Those in charge of looking after Levy’s Point gave up on the place. The illegal four wheel driving and motorbike riding was not stopped, so it worsened, until it got to the point where some dunes were so damaged that they are now considered suitable only for large-scale racehorse training, which, of course, will ruin them even further. For any councillor to claim that they did not know the history of this area and the extent of the damage done is ludicrous, unless, like the current President of the United States, they don’t read, don’t research or don’t want to know. 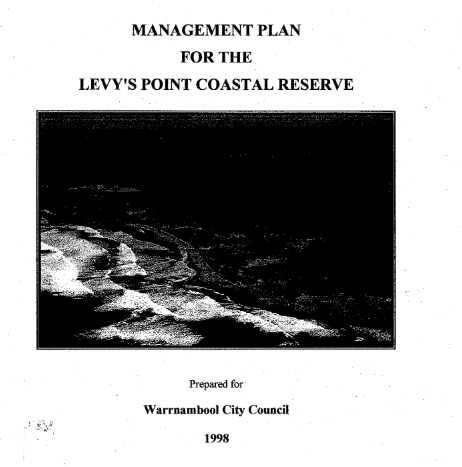 This 1998 plan follows the government’s Land Conservation Council plan of 1978, and pre-dates the council’s Coastal Management Plan of 2013. They all say the same thing: the need for conservation, restoration, protection, promoting low-impact activities and eco-tourism, controlling four-wheel-drive access, and not repeating the mistakes of earlier times when sand mining and rendering plants were considered okay. And yet here we are, not only about to repeat a mistake, but doing so with our eyes wide open.